Whether you call it oral hygiene and cleaning, routine appointments, or your yearly dentist visit, one thing is for certain: it’s vital to your oral health! These oral hygiene appointments are part of preventative dentistry, and an excellent example of the old adage that an ounce of prevention is worth a pound of cure. By visiting your dentist regularly (Dr. Contract recommends every six months) for a comprehensive exam and professional cleaning, you’re taking an important step towards a lifetime of good health. Taking care of your mouth does more than make certain your smile looks its best. It also prevents cavities, gum disease, and other serious issues before they start. And since unchecked oral bacteria has been linked to heart disease, stroke, and other serious ailments, you’re taking care of your body by taking care of your oral hygiene. Professional tooth cleaning and scaling gets rid of plaque and tartar that leads to tooth decay and gum disease. Polishing the teeth post-cleaning smooths the enamel surface to make it more difficult for plaque to adhere - plus, it makes your pearly whites shine! Fluoride reinforces the teeth to make them their strongest and give them the best chance against decay. 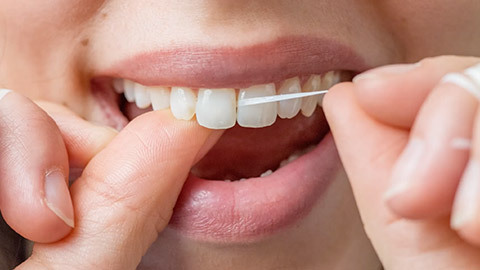 And we always make certain to give you proper brushing and flossing education to make certain you’re keeping up the good work at home between visits. Our team is dedicated to education and prevention, so we always make certain to spend plenty of time with our patients, getting to know their habits and advising them the best we can. We are just as invested in your beautiful smile as you are! Come see us at Williamsburg Smiles - we’ll get you on the right track for a lifetime of oral health, and keep you there! If you need more information about Oral Hygiene/Cleaning in Williamsburg, contact us today.